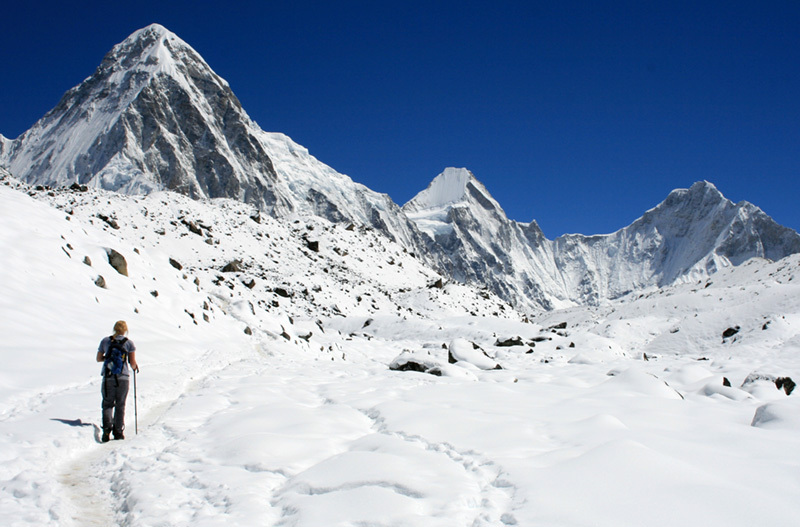 Makalu Base Camp trek is a remote area trekking route of eastern Nepal. This is culturally and environmentally diverse region and worth to visit. The trial passes through the Makalu Naional Park and ends at the base camp from which there are fantastic views of Everest, Makalu and Lhotse. As trail goes on higher altitude, one should be ready to face the altitude sickness and diverse weather conditions. Sometime this weather may be the obstacle for the further progress. However, the region offers varieties of culturally and ethnically rich people and nature. 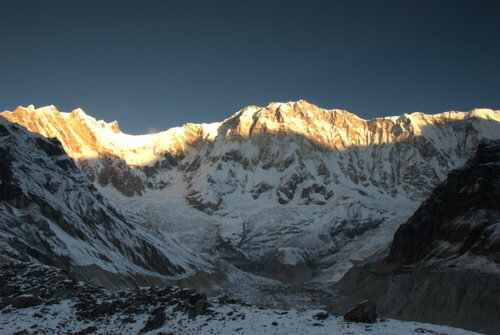 It is the fifth highest mountain in the world which is quite close with top of the world Mt. Everest. This area is blessed with diversity of natural vegetation, culture and life style of local residents. 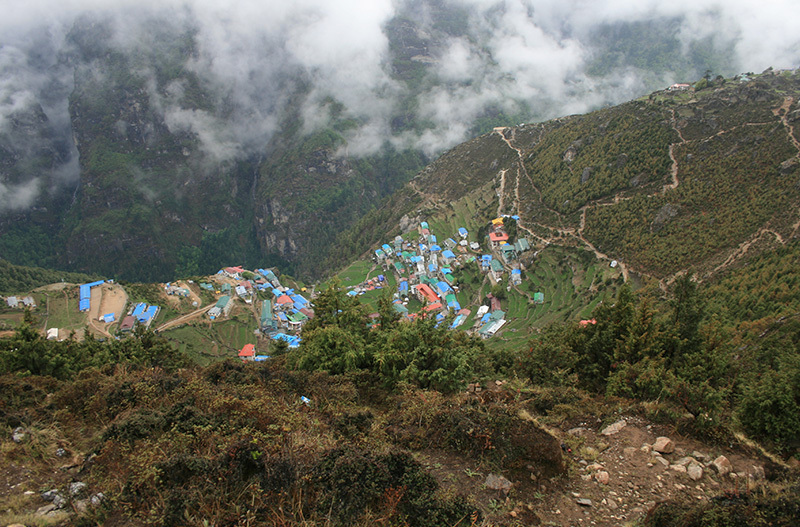 This trek is totally isolated from the modern society so that few trekkers are traveled and used to stay at the tented camp. Go wilderness trip with Heian Treks experienced guide on Makalu Base camp trek in 2019/20. It is situated on the east bank of the Arun River which you will be following by an ancient trade route during the first three days of this trek. Khandbari (1067 m) is a town around three hours walk from Tumlingtar and has resting accommodation available. The trial heads due north while the river veers slightly to the northwest. Walking up the ridge to the village of Mane Bhanjyang (1158 m) and on up through terraced fields through Pangma to Bhotebas from where there are the first really spectacular views of the mountains to the north. The route then further goes through the small settlement and a stretch of rhododendron forest to camp just beyond Sakurate. The path continues heading along the ridge, with rhododendron forest now dominant. Then begin a gentle walk through Mude. The erstwhile forest on the slopes has been denuded to make way for cultivation. It is a fairly steep descent with many bends from Num to cross the Arun Khola (690 m), by suspension bridge at Runbaun. It is then a stiff, rocky climb up the other side of the river, one arrive at Sedua. Climb to the north across cultivated terrace field. The path then climb continuously and pass the settlements of Navagaon and Kharshing Kharka to Tashigaon. The last major village of this trek. Begin a steep climb through forest, which can be magical in the early morning mist. The climb continues through Unshisa to Kauma. Probably, another night for acclimatization. 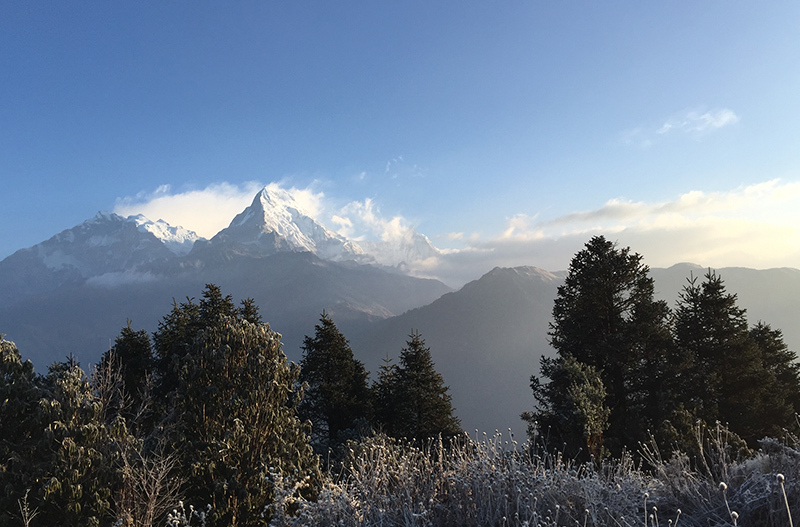 The path twists and turns steeply, passing through forest before emerging on to a ridge with mani walls, numerous prayer flags and superb mountain views, including Kanchanjungha to the east. Trial goes through La pass via Keke La pass (4230 m) and Tutu La pass (4200 m) where there is a chorten. From here, it is a fairly gentle descent walk through rhododendron and pine forest to level off at Mumbuk. The day begins with a sharp descent down a wooden ravine and continues on to cross the Barun Khola just beyond Tamatan Kharka. The trial is indistinct along much of the route. It can also be slippery with numerous rock falls, so extra is required. You are now following the Barn Khola along its northern bank. Trial goes through the seasonal settlement of Yangri Kharka and a little ahead is the Nehe Kharka. With a gain of over 1500 m along today’s route, the problem of altitude sickness is very common. Soon after Nehe kharka, crossing the Barun Khola by wooden bridge and uphill through forest. The river valley becomes increasingly steep, with waterfalls gushing picturesquely down sheer rock faces. The trial continues its hike past the tiny settlements of Jhark Kharka, Ramara and Mera before reaching Shershon. After walking nearly one hour, you can be at the base camp. It is a rocky barren place with the large Barun Glacier beyond, but there are superb & magnificient views of Makalu itself. While descent down, almost half of the time it took on the way up, last night at Tumlingtar.